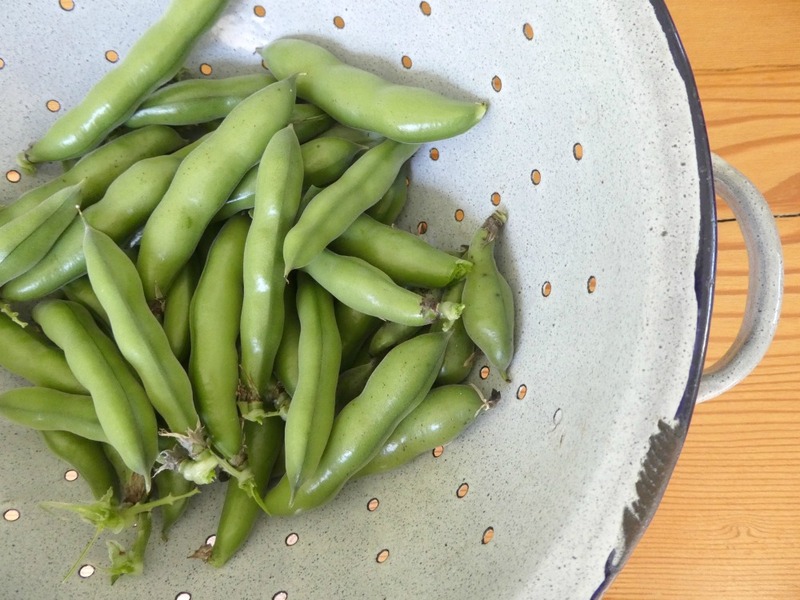 If you planted broad beans for a spring crop, you probably have a glut right about now. This Moroccan dip is a tasty way to eat your way through a broad bean glut, without the hassle of having to double shell. Gardener extraordinaire and chef Stephanie Alexander's recipe for byessar - a Moroccan dip - comes from The Cook's Companion. This and The Kitchen Garden Companion are, along with a Margaret Fulton cook book, my most referenced cooking bibles. Stephanie recommends serving this dip with toasted pita bread and fat black olives. I have to admit, we didn't even get to garnishing ours. 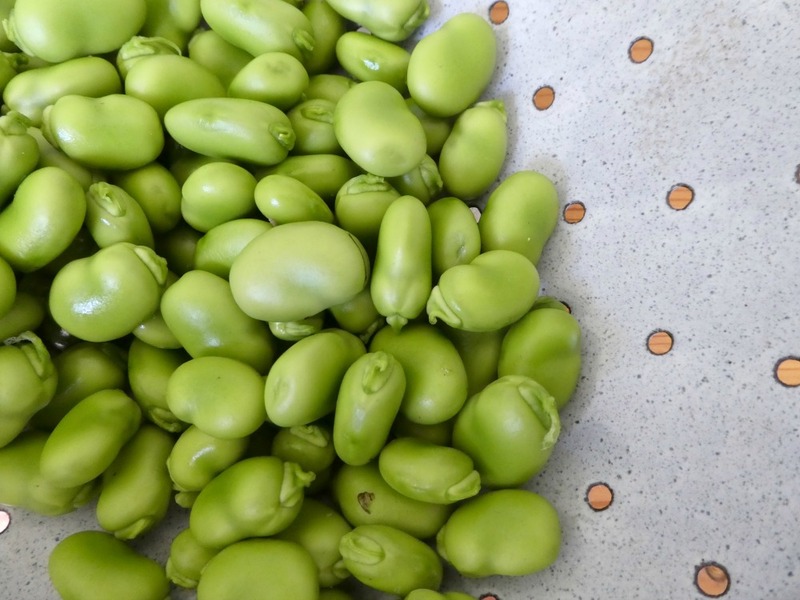 Once your broad beans are shelled place them into a rolling boil of salted water and boil for 15mins. You'll want to reserve the cooking water for later on so drain over a pan or heat-proof bowl to collect it. Let the beans and water cool a little and then tip half a cup of the reserved water into a blender along with the beans and all the other ingredients. Blitz it. If it's stodgy, add a little extra water until the dip's the right consistency. Stephanie's directions actually suggest garnishing with a slurp of olive oil and a shake each of paprika, chilli powder and ground cumin, topping it all off with finely chopped spring onions. Hi Katie I have a total glut of broad beans...I was thinking of trying to freeze some. Will give the dip a go...sounds delicious.